For it does. With its 'bottega', its workshop, it is based on the principle of work. 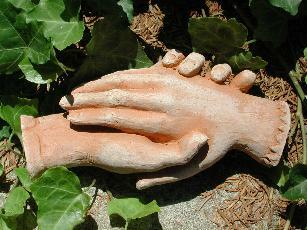 Yesterday, I came home with a basket of six pairs of 'Clasped Hands' of Elizabeth Barrett and Robert Browning, still warm from the furnace, in terra cotta, made lovingly by Amalia Ciardi Dupré and my granddaughter and Assunta. The 'Clasped Hands' were originally made by the nineteenth-century American woman sculptor Harriet Hosmer. Amalia is the descendant of Giovanni Dupré, the great Florentine nineteenth-century sculptor, who with her great aunt, another Amalia Dupré, made the statues of St Zenobius and St Reparata on the façade of the Duomo. while on the table, built from the cypress trees in this cemetery in 1860, we have the moulds for making the 'Clasped Hands' in terra cotta and in gesso. Amalia Ciardi Dupré is off to St Petersburg to see her ancestor's work exhibited there in the Hermitage. This Cemetery being filled with poets and sculptors, poetry and sculpture. All of us working together to save the 'English' Cemetery, for the donations for the 'Clasped Hands' go entirely for the Cemetery's restoration. Need to give a wedding gift? What could be better? Especially if combined with the limited edition handbound Sonnets and Ballad, which include all the Sonnets from the Portuguese in English and in Italian, that Elizabeth shyly gave Robert one morning in Bagni di Lucca, or the CD 'Florence in Sepia'. Another book we should dearly love for this library is The Monuments of Egypt and Nubia by Ippolito Rosellini, published by the American University in Cairo Press and findable on the Web. Jean-François Champollion and Ippolito Rosellini, funded by the Grand Duke Leopold II of Tuscany, journeyed together in the year this Cemetery was founded, to Egypt and Nubia, and brought back a black slave, Kalinna, whose story is told some years later on her tomb stone here in Cyrillic, that she was baptised in a Russian-Florentine family, 'Nadezhda', Hope. Many of the motifs on our tombs come from Champollion and Rosellini's observations of Egyptian hieroglyphs, including the winged globe on Arthur Hugh Clough's tomb, sketched by Susan Horner for his family. The book will make you a member of Aureo Anello! This is a global cemetery, your library. In this way you become a part of Florence. Florence's Swiss-owned 'English' Cemetery is an island linked to the whole world, its English, Swiss, Russian, American and other graves being in so many scripts, so many languages. It has been abandoned for 125 years. It is now time for the world to reclaim it and make it once more beautiful and accessible. Here is a photograph of Piazzale Donatello. The tall building in the centre the far side of the cemetery is the studio of Michele Gordigiani who painted the portraits of Elizabeth Barrett and Robert Browning, now in London's National Portrait Gallery. Go to the National Portrait Gallery website to find them: http://www.npg.org.uk/live/search/. Our library in the Cemetery's Gatehouse, that you see to the right, has books by and about the famous Victorian writers and sculptors buried here. Our on-line catalogue is at http://www.florin.ms/libhe.html. While our catalogue of all the tombs is at http://www.florin.ms/cemetery1.html,etc. You can join us in saving this monument and be a part of Florence and her beauty. Congratulations. We are more than half way there! I. We have now more than 500 signatures to our petition, with a goal of 1000, asking UNESCO to consider Florence's English Cemetery as a World Heritage Site to be found and clicked on at http://www.thepetitionsite.com/takeaction/471134975 and we shall be very grateful for more signatures. (We have the virtual one on the Web, and a real one at the Cemetery, both at more than 250 signatures.) Share this with your friends, your e-mail address book. It is as if we have a thermometer half full/half empty! II. Next, we shall do this with the funds we raise. III. 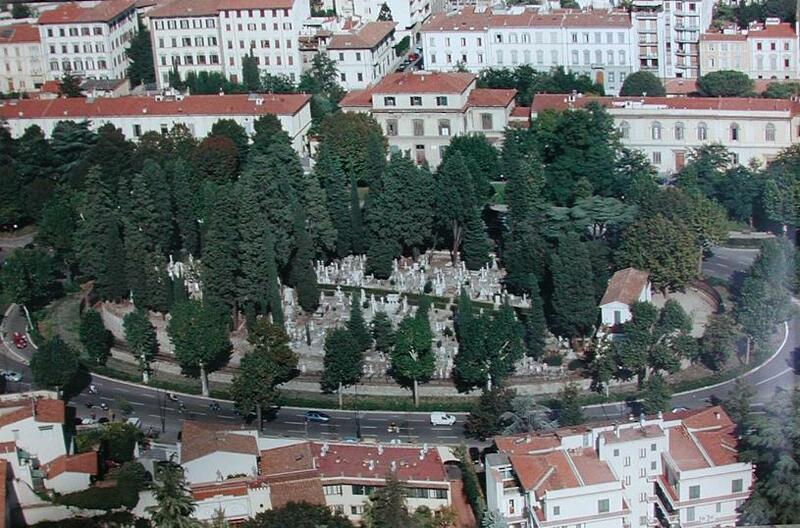 And then come and visit Florence, especially the 'English' Cemetery, and see the beauty you will have restored. 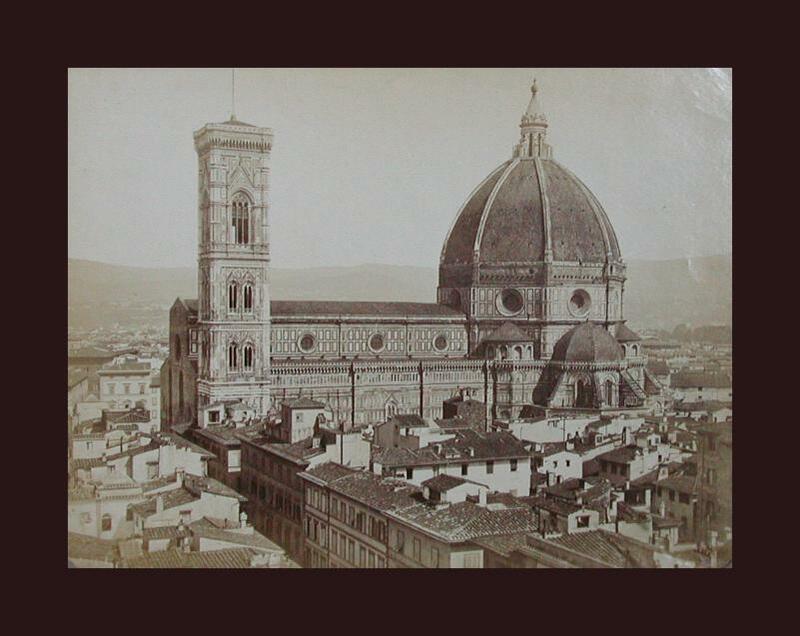 etc., with which descendants and scholars interact worldwide; with its parallel library of nineteenth-century books written by and about the people buried here; and with its CD Florence in Sepia, of Florence in nineteenth-century poetry, prose guidebooks and sepia photographs, is a part of the 'World Information Society', a 'Memory Institution' that this conference celebrated. The UNESCO WSIS also publishes a photo album of the conference in which you can glimpse, in one picture, myself, the sessions held in an imperial palace on the shores of the Baltic: http://confifap.cpic.ru/conf2005/eng/info/default.html, then click on 'Photo Album' in column to left, going to Section «Policies of Cultural and Scientific Heritage Digitization and Preservation» where I am talking about the need to save Florence's 'English' Cemetery, its Library, and their websites, and asking the participants for their advice on how it could become a UNESCO World Heritage Site. And then, following this, I was at the Leeds International Medieval Congress in July and went also to visit Saltaire, my great-grandfather's model mill in Yorkshire, for he had travelled every year to Russia and spoke that language fluently, trading in wool and woven cloth. Saltaire, which is very beautiful, is now a UNESCO World Heritage Site. Sir James Roberts also bought the Brontë's Haworth Parsonage and gave it to the nation, and endowed a Chair of Russian at Leeds University. But he had started working in Sir Titus Salt's mill at twelve, walking across the Yorkshire Moors barefoot, becoming its manager at eighteen. And a petition. http://www.thepetitionsite.com/takeaction/471134975 We shall so appreciate your signatures. And send this, too, to others to sign. We have another petition here, on paper, same words, which is now at signature number 250, that our physical, rather than virtual, visitors sign. So we are close to half of our goal of a thousand signatures. The Independent story has a photograph of Dame Judi Dench hugging the wrong tomb in Tea with Mussolini! I'd never seen the film, so was amused to find this out! Yesterday, in a freak storm, the top of a large cypress came crashing down on several tombs. Aureo Anello, our cultural association for the cemetery and the library, will pay 300 euro to have the branch cut up and removed. We have also paid 1000 euro to have beautiful Victorian iron railings on the stairs so we are more accessible. And, further, we have disbursed 150 euro for paint for the great wrought iron gates that were rusting away, doing the labour ourselves. The crisis of the threatened closure is causing everyone in Florence to speak of this place as a 'jewel', and as worth saving, though it has been neglected and abandoned and unappreciated for 125 years. Let's work together to restore it and have it become a UNESCO World Heritage Site, in which the English, the Americans, the Swiss, the Russians and countless others can all take pride. Though from the past it is the shape of our future, a peaceful co-existence amidst great beauty.